Saratoga Medical Centre opened in June, 2015. Our medical centre offers Saratoga, Davistown, Yattalunga, Kincumber and Greenpoint and surrounding residents with a range of different services. People from all around the Central Coast area travel to see our many practitioners. 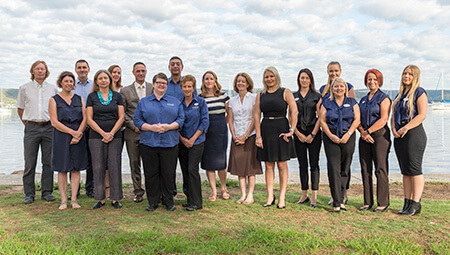 We have male and female GPs, a podiatrist, psychologist, chiropractor, dietician and physiotherapist ready to help you and your family. Our team are friendly and welcoming, dedicated to providing you with personalised, professional and quality healthcare. We want to build relationships with you, making sure that we meet your individual needs at one location. It’s important that we fit into your busy schedule. To do so, we offer same-day and Saturday appointments, as well as emergency appointments. Walk-ins are also accepted, so you’re welcome to stop by at your convenience. Free and accessible parking is available, with a ramp that leads up to our practice for those who have limited mobility. Schedule your time with our caring and friendly team today!